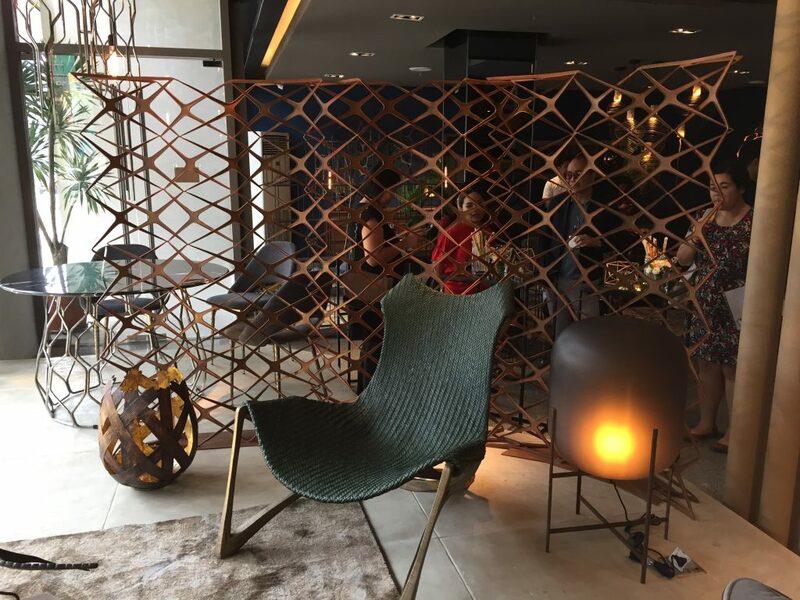 Last Wednesday, artisanal metal furniture brand Industria Edition opened the doors of its Manila showroom to the public for the first time. “The thing that attracted me to metal is its unpredictability,” says Tiotuico, explaining that unlike wood, “which you probably can just carve into shape,” metal has to be bent, forged, or hammered, and “sometimes it just doesn’t come out the way you expect it to be,” he says, musing, “sometimes much better, actually.” But because of this, “no piece is exactly the same as the next.” Metal keeps you on your toes, and you can see that it lends Industria Edition’s furniture some playfulness even as it gives it its industrial edge. 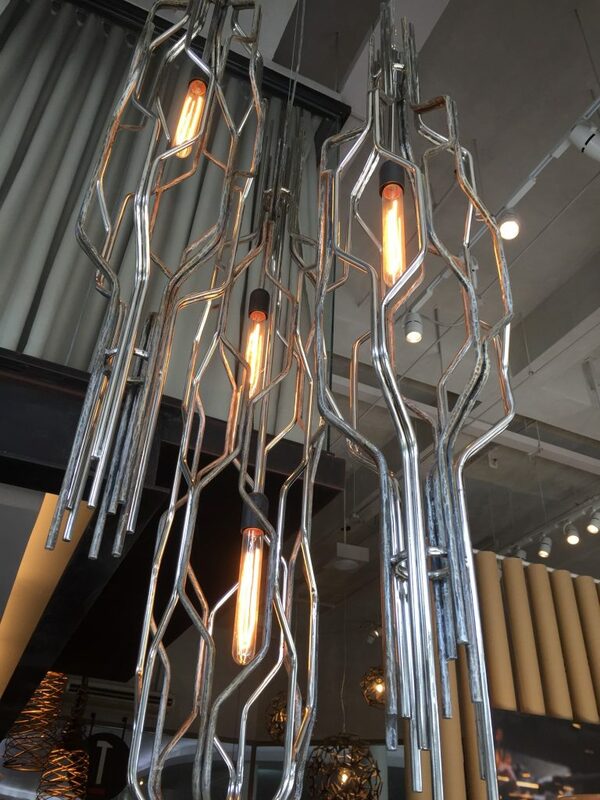 Another wise decision: the company chose to take its creative cues from the mid-century modern era, which highlights their creative use of metals like steel. 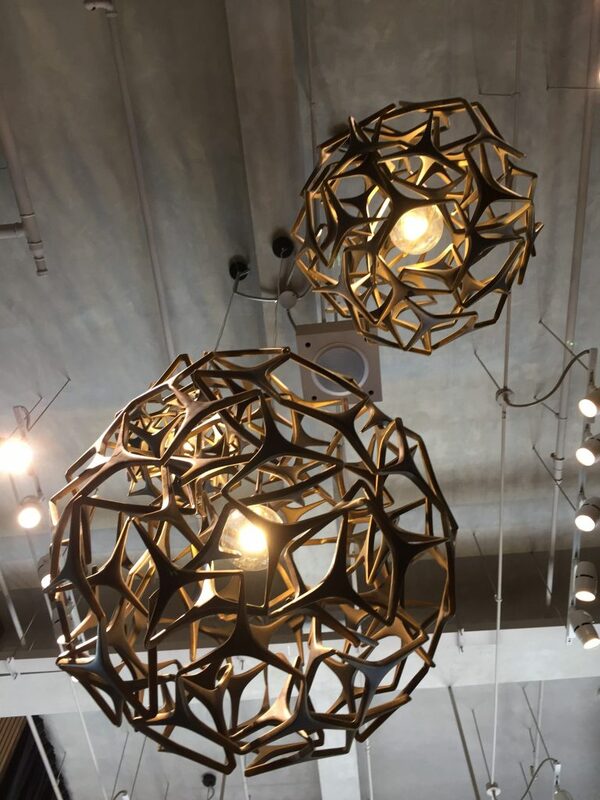 Their metals are coiled into clean, geometric shapes, most notably in their hanging pieces. Like the iconic era they take their inspiration from, the brand also takes a page from nature, making pieces that do something as simple as resemble twigs, or the more ambitious fixtures that enact a star’s transformation into a supernova. This design philosophy has obviously paid off: Industria Edition has already made a name for itself both locally and abroad, participating in trade shows and exhibitions everywhere, including Milan. Their creations have also won Tiotuico design awards: the Bordeaux lounge chair and the Loopy lounge chair garnered the Katha Awards in CITEM (Center for International Trade Expositions and Missions). Despite the success, their new showroom in Manila was never really part of their plans, opening it only when they realized that their local clients were clamoring for it. For their opening, the brand decided to also feature collaborations with four local designers: Budji Layug, Eric Paras, Lilianna Manahan, and Leeroy New. More collaborations are to come. “Every season, every quarter of the year, we’ll be featuring one of the designers,” Tiotuico says. 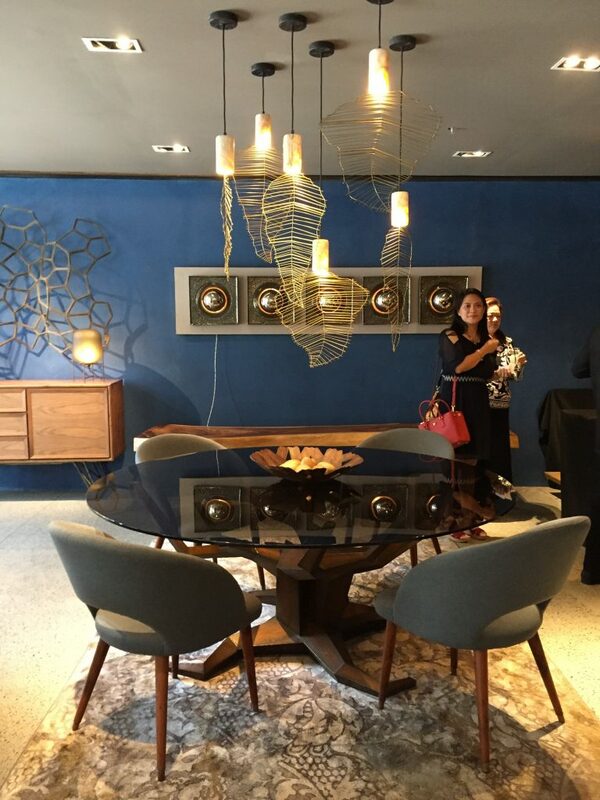 Their new showroom is located at The Residences at Greenbelt, and is open daily from 10 a.m. to 7 p.m. For more information, you can visit their website.